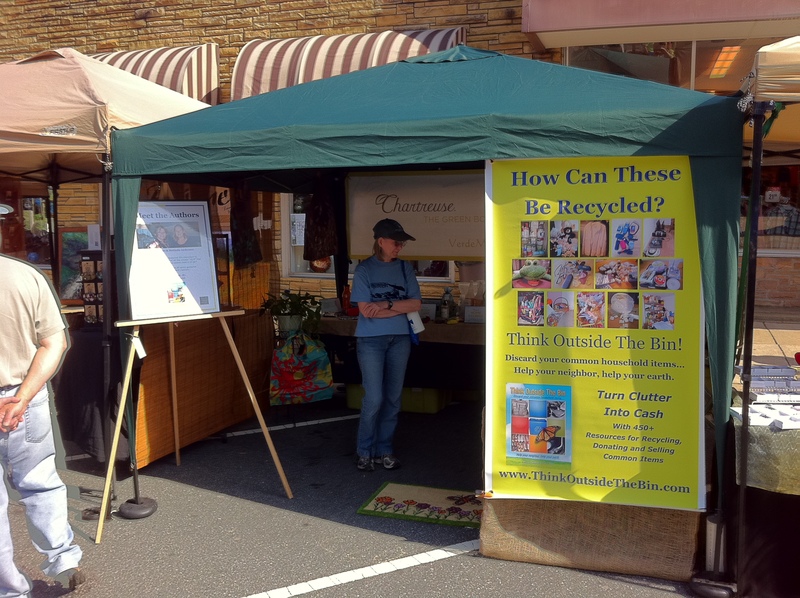 The 3rd annual Decatur Green Fest will be downtown on the Courthouse Square Saturday May 7th, 2011 from 3:00pm – 9:30pm. We will have our Think Outside the Bin book on CD for you to purchase at the special price of only $4.00 at this event! Think Outside the Bin includes 450+ resources for recycling, donating and selling common household items…all in a handy CD at a low price. You can “Help Your Neighbor…Help Your Earth”! The Decatur Green Fest event features live music, green products and services exhibits, local and organic produce and food tastings, a kids activity zone, artists working in recycled materials, sustainable and fair trade clothing and goods, natural health practitioners, and environmental groups and non-profits talking about all things green. This entry was posted in Think Outside The Bin and tagged Decatur Green Fest 2011, green festival, postaday2011, think outside the bin. Bookmark the permalink.